Miguel Parga is a screenwriter who has seen over 13 of his shorts produced, several of them showing at festivals all over America. Before that, he worked for ABC Network News, where he won an Emmy, a Peabody and a DuPont Award. He currently teaches filmmaking at the New York Film Academy and was the director for their Harvard and Mumbai summer programs. 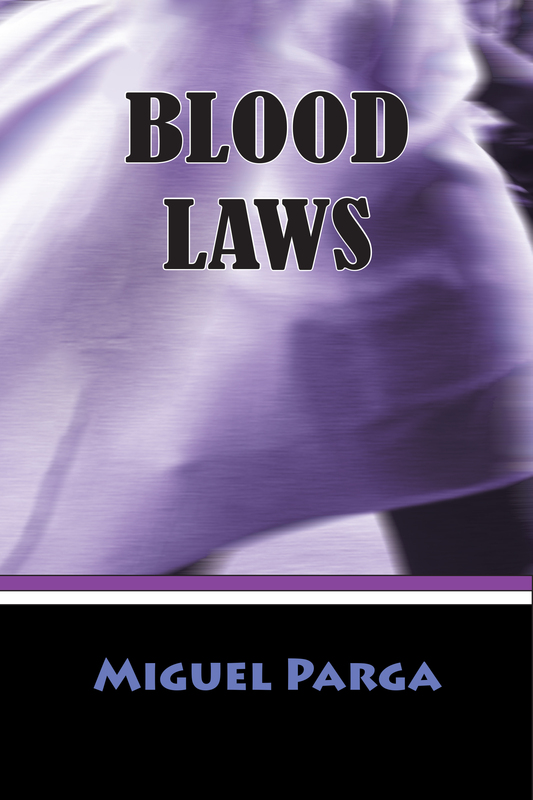 Blood Laws ($20,Novel, ISBN#:978-1-937536-33-6, Hardcover ISBN: 978-1-68114-161-9, LCCN: 2012914761, 165pp, 6X9″, Click to Buy): What if your thoughts killed people and you couldn’t stop thinking? This is the story of Alex Torken, a young writer who wakes up to discover his thoughts of death are becoming reality… a bit of a problem for a thriller writer. Yet trying to subdue his murderous dreams is just the beginning. Alex will find himself in the middle of a feud that’s been raging for the better part of a millennium. While digging for answers, Alex will learn he is a direct descendant of a member of the Spanish Inquisition and the nightmares are revenge for the atrocities committed by his ancestor five centuries ago. Now he must face a modern covenant of witches bent on manipulating his mind into a grave, while questioning everything, his past, his calling, even the origin of his own inspiration.